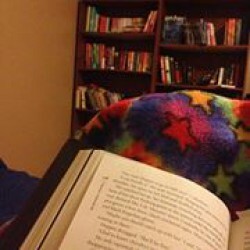 This was a buddy read with my brother. He's not finished so this is a vague spoiler free review. 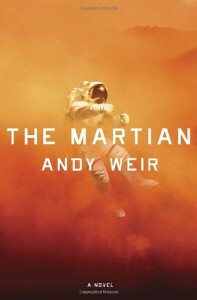 I read the Martian as a kindle book till about 70% I finished up with the audio book. A throughly enjoyable Sci Fi survival story. I give it 4 stars. I loved the humor I never expected to chuckle so much while reading a story about a man fighting to survive on Mars. I genuinely feared for Mark's life at times. I'm not sure who narrated the audio book, but I really enjoyed him. He did different voices for all the characters and did an excellent job. He did such an excellent job changing his voice for each character I was a bit annoyed with so and so said after each statement. This book is heavy in the math and science details. Very heavy. That's not really my thing so I skimmed some of the technical stuff. Thats why I took off a star, but rethinking it I don't think it's enough to lose a whole star over. So 4 1/2 stars. Even if you don't care for technical/science /math stuff I think you can still find this book enjoyable. It's a great survival story, and Mark is humorous and realistic enough that he's a hero you can really root for. I highly recommend to pretty much anyone.